District of Conservation’s Gabby Hoffman joined us today. Well, we thought there was going to be a shutdown, and it looks like that won’t happen. While he isn't happy about the border deal, President Trump doesn’t seem like he’s dead set against signing it. The bill provides $1.3 billion for 55 miles of border barrier in the Rio Grande Valley, which is a critical area. Yet, reportedly, it also decreases the number of ICE detention beds. It’s a terrible deal. The president shouldn’t sign it, but he might. We’ll keep you updated on that. Moving on from the happenings on the Hill, we jumped across the river into Virginia, where Richmond is still a dumpster fire. Democratic Gov. Ralph Northam, Lt. Gov. Justin Fairfax, and state Attorney General Mark Herring are all engulfed in scandal. 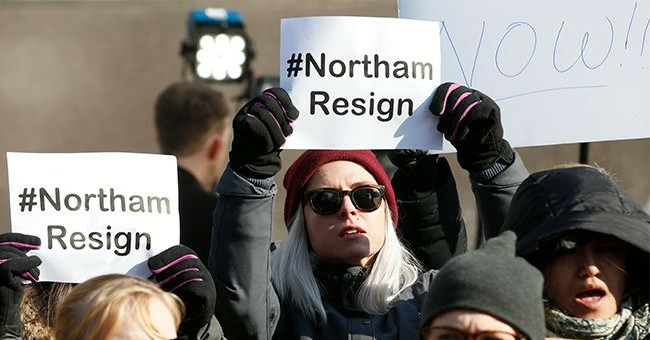 Northam and Herring wore blackface and Fairfax has been slapped with two allegations of sexual assault. No one can resign because that would mean the Republicans would take over. Fairfax has called on the FBI to investigate the claims and for due process, which is odd given that Democrats didn't afford any of that to then-Supreme Court nominee Brett Kavanaugh. The Left’s rules have been turned against them. The Green New Deal is a total disaster, as its creators had to take down the FAQ page because it was so ridiculous, and it would cost trillions. It’s a socialist wrecking ball. Everyone knows it, and yet, virtually the entire 2020 Democratic field thus far has signed onto it. Sen. Cory Booker (D-NJ) described it as a noble venture akin to fighting Nazism and landing on the moon. Rep. Ilhan Omar (D-MN) and Rashida Tlaib (D-MI) are both at it again. Omar has faced immense backlash after she went on another anti-Semitic rampage. This time about the American Israel Public Affairs Committee (AIPAC). The entire Democratic leadership condemned her, forcing Omar to issue a non-apology apology. And while the Left dealt with its anti-Semitism issue, President Trump and Bob O’Rourke held dueling rallies in El Paso, Texas. The president's event was obviously the better-attended rally. Gabby offered her insight on the whole agenda today, along with her family history in fighting and experiencing socialism.